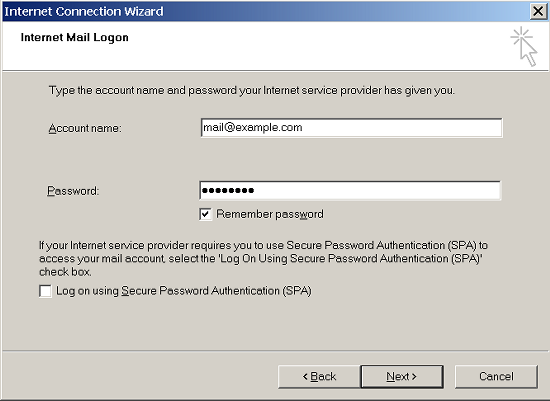 The instructions provided in this section were verified against Microsoft Outlook Express 6. 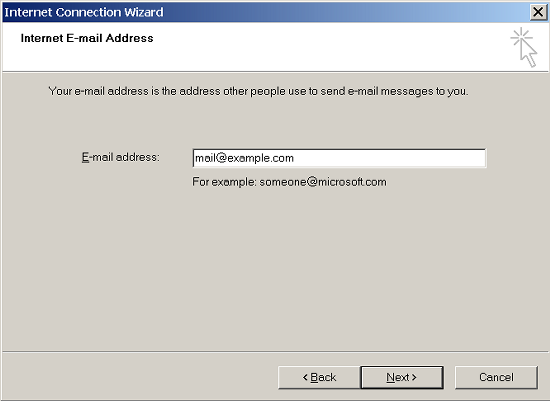 They might not work with earlier or later versions of Microsoft Outlook Express. 1. 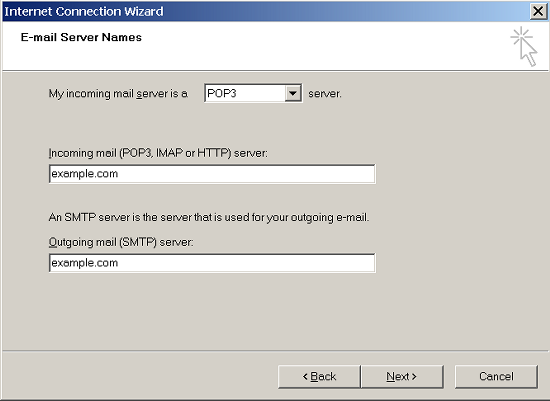 Open Microsoft Outlook Express.2. Go to Tools > Account.3. Click the Add button and select the Mail item. 4. 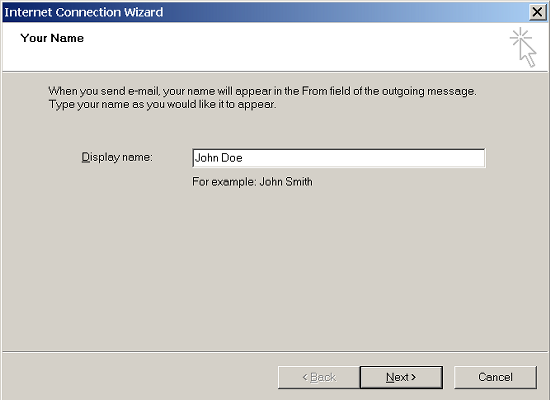 Enter your name as you want it to appear in any messages you send, and click Next. 5. 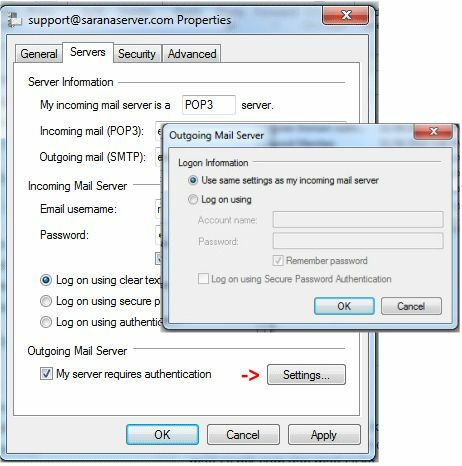 Type your email address, and click Next. 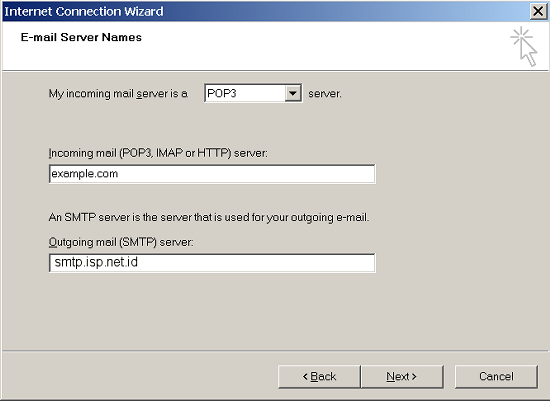 Click Properties, open the Outgoing Server tab and Uncheck My outgoing server (SMTP) requires authentication.